Bringing Music To Life, a Colorado nonprofit organization has its grant application open now through March 31st for Colorado teachers. 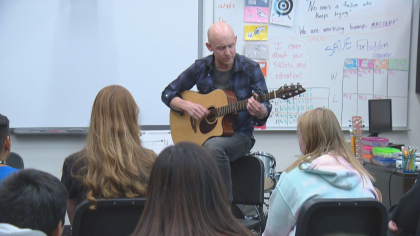 Bringing Music To Life has donated instruments to over 200 Colorado schools over the past eight years. Apply for classroom instruments for your students. Click here to apply and learn more! 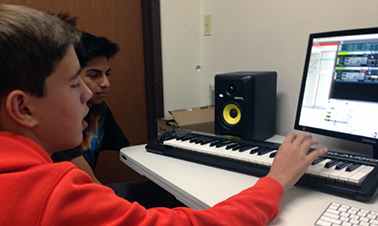 The Bank of America Charitable Foundation has issued Take Note Colorado a $50,000 grant in support of music-making for Colorado students. 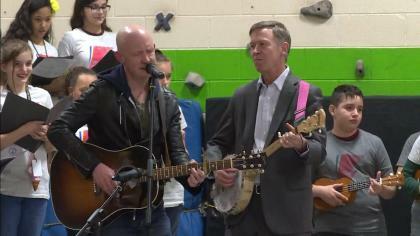 Grammy-nominated The Fray, fronted by co-chair of Take Note Colorado, Isaac Slade, will be headlining this year’s Sing It To Me Santa benefit concert, supporting act Tracksuit Wedding. Jazz Aspen Snowmass, Macy’s, Bringing Music to Life and Take Note Colorado are partnering up on their Back to School Instrument Drive, August 5-25 to help bring more instruments into the hands of Colorado Students this school year. Take Note Colorado partner, Denver Arts and Venues, through their Denver Music Advancement Fund, will provide $80,000, up to $7,500 per grant, to support Denver’s music ecosystem, including musicians and leaders in businesses, government, nonprofits, and educational institutions to advance music-centric initiatives that advance music. Isaac and Anna Slade treat PorchLight agents to a surprise performance. 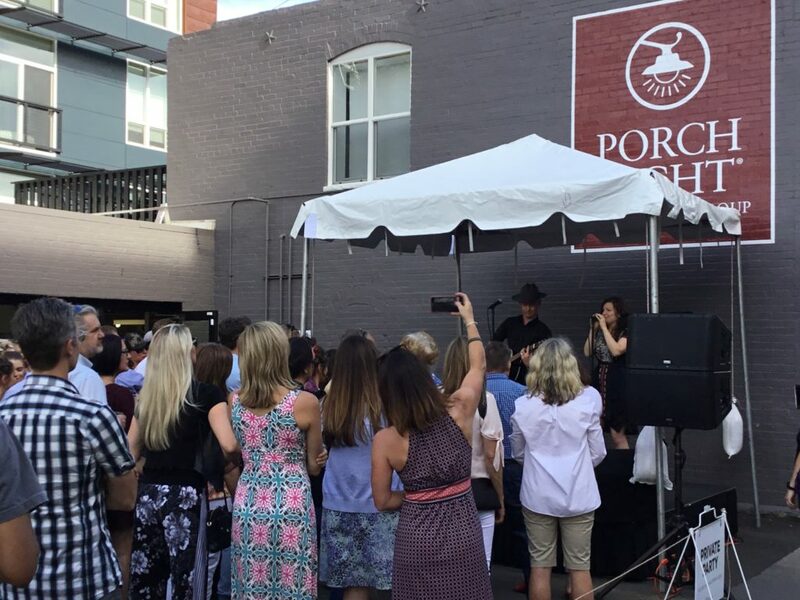 PorchLight Real Estate Group announced that they will be the presenting sponsor of A Take Note Event at Red Rocks on August 17, 2018. The event will be held prior to the Old Crow Medicine Show concert as a celebration of founding members of Take Note Colorado’s new Music Producers Circle. Jazz Aspen Snowmass (JAS) is partnering with Take Note Colorado to bring complimentary Beat Lab workshops to both the Basalt and Glenwood Springs Libraries, coinciding with the National Collaborative Summer Library Program summer theme: Libraries Rock! Workshops will start the week of June 11. 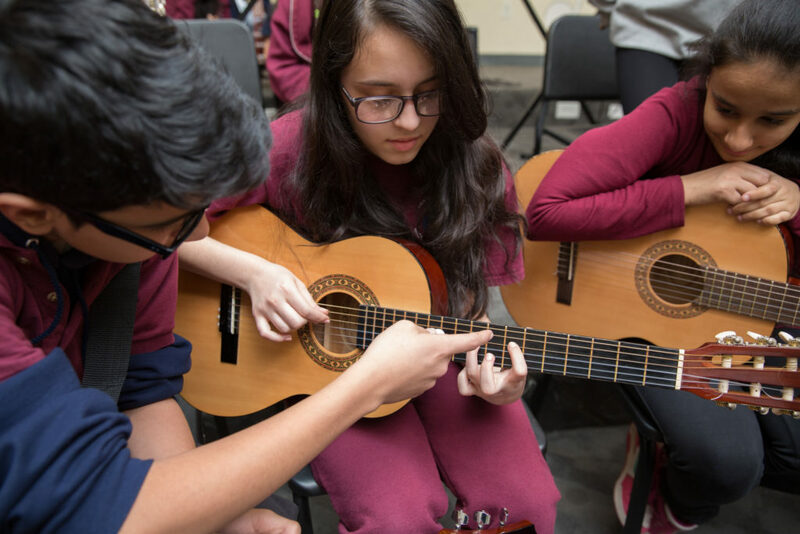 We’re proud to partner with Bringing Music to Life to help get instruments in the hands of students across Colorado! 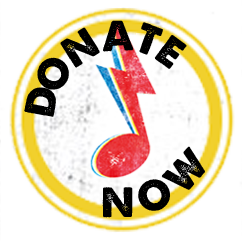 Find that instrument you haven’t played in years, and donate it to the Bringing Music to Life, to help a kid in Colorado experience all that music can offer. Donations accepted thru March 17. Click on news item to find a drop-off location near you!